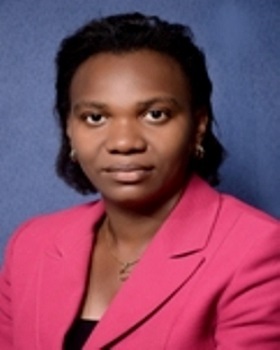 Florence Obumneke Oji is the Group Head of Internal Audit of ARCO Group. She has a B.Sc (Hons) degree in Accounting from the University of Nigeria Nsukka (UNN) and is an Associate of the Institute of Chartered Accountants of Nigeria (ICAN). Mrs. Oji started her career in Akintola Williams Deloitte where she gained a vast wealth of experience in audit and assurance services. While at Deloitte, she acted in the capacity of Team Lead for both internal and external audits in a number of banks, Insurance companies and other financial service institutions. Mrs. Oji is also a trained Deloitte Facilitator and actively facilitated in Deloitte West and Central Africa (WECA) training as well as trainings organized by the Financial Services Institution (FSI) Unit of Deloitte in Lagos. She was a Team Lead in carrying out risk based audits and reviewed client’s internal control system with a view to identifying risks, and making practical recommendations to mitigate the risks identified. Mrs. Oji was actively involved during the first time adoption of International Financial Reporting Standard (IFRS) by a number of banks. Mrs. Oji joined ARCO Group in July, 2013. She has been instrumental to the success of ARCO Strategic Enterprise Transformation (“Project ASET”) as well as the ISO Certification Project of ARCO Group where she has showcased her wealth of knowledge in controls and process description.